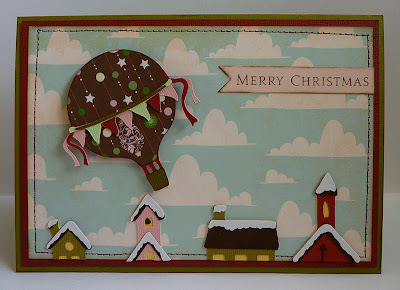 A month has passed, so I can now share the card I had published in the December issue of Cricut Magazine! Do you ever wake up with a card idea in your head? Or is that just a sign of my Cricut addiction? Regardless, that's how I got this idea. It's an A7 size card, which is a size I like to use when making cuts with lots of details. I can use my Kreate-a-Lope to make coordinating envelopes that take regular postage. I printed the cloud background with the Cricut Imagine Best Friends cartridge. The little houses are cut from the Winter Woodland cartridge at 2 3/4". I just trimmed off the bottom of each one, leaving me with the rooftops. 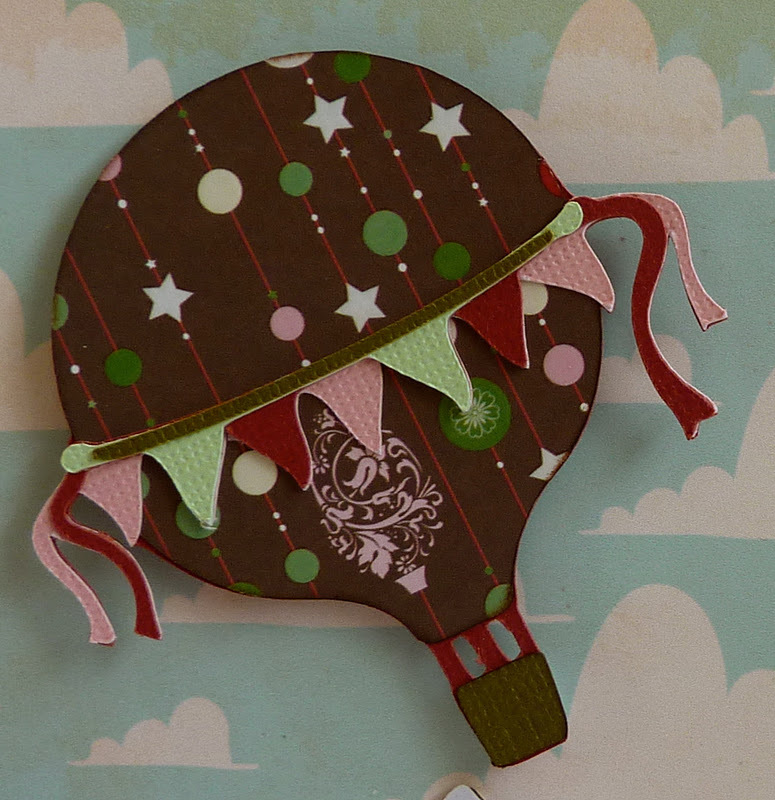 This sweet hot air balloon is cut at 2 3/4" from the Everyday Pop-Up Cards cartridge. What a fun card! Congrats on being in the magazine! Awesome!!! I saw this card in the magazine and thought it was great. Congratulaitons to you! Beautiful card!! Congratulations!! How exciting to be published! This was my Favorite card in the whole mag. My friends and I talked about it often. so cute, love the balloon!!!! Wow this is really Pretty Katie. Love it. Happy New Year. this is one awesome card!!! congratulations on being published again!!! CONGRATS! That card is AMAZING...I love all the details! Wow, Katie, congratulations to you! That is so great being published. Your card is adorable. A wonderful idea you came up with. Just love it!! A real winner.--Pat N.
Beautiful. I see why it was chosen. Congrats. Congratulations on being published. This card is one of my favorites from the December issue. Katie everything you do is absolutely BEAUTIFUL. I am so HAPPY for you:-D. Congrats to you. Very cute and clever idea for a card. Congrats on being in the magazine. This is a terrific card, I can see why it was published!!! ;) I love the pattern paper you used on the hot air balloon and the idea of it flying over the rooftops! So creative! Just beautiful. Congratulations. Your work is really amazing. Congrats on your publication. I can see why it was published. It's so pretty with all is details and colors. Happy, Healthy New Year to you and yours. Congratulations on getting your card in the Cricut Magazine. Your a very talented lady. Thanks for sharing your card with us. Perfect! Love this is every way! TFS!